Easter sees the greatest quantity of seafood sold in Australia and the Food Safety Information Council is warning consumers to transport their seafood home from the retailer in a cooler with ice block or ice. Food Safety Information Council Chair, Rachelle Williams, said that Australia has a well-deserved reputation for high quality and safe seafood. ‘Commercially produced seafood in Australia must adhere to strict quality controls but we also need to keep it safe after purchase,’ Ms Williams said. 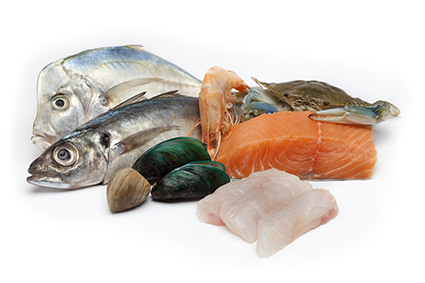 At home put seafood in the fridge in a covered container and make sure your fridge is running at 5°C or below. Live shellfish should be kept on ice and consumed as soon as possible after shucking. If the seafood is going to be cooked this will kill most bacteria but there could be a risk if it is consumed raw, for example raw oysters, sushi, sashimi. You will need to be particularly careful and hygienic in preparing these raw foods and also handling precooked seafood such as prawns. Raw seafood or cold cooked prawns are not recommended for pregnant women, people with reduced immune systems or the elderly because of the risk of Listeria.